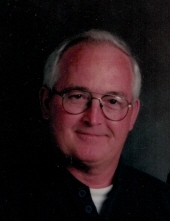 ROCKVILLE-Jack L. Rice, 83, of Rockville, Indiana passed away Sunday, January 20, 2019 at Union Hospital in Clinton. He retired from Eli Lilly and Company as a Supervisor with 40 years of service at Indianapolis and Clinton. He was born October 5, 1935 at Indianapolis, Indiana to the late Braid Rice and Josephine Bell Rice. His wife of 51 years, Jean Slaven Rice whom he married June 10, 1967 at Indianapolis survives. Also surviving, one daughter, Danielle (Michael) Legg of Westfield; one son, Sean Rice of Huntington; one brother, Mike Rice of Indianapolis; eight grandchildren, Barbara Jean, Sean, Jack, Michael, Aidan, Jude, Christopher and Marie; three great-grandchildren, Kiara, Kaven and Kalven. He was a graduate of Ben Davis High School in Indianapolis and served with the U.S. Army. He was a Master Gardener, doing extensive work at the Lusk home on the grounds of Turkey Run State Park. He enjoyed fishing and was an avid Notre Dame fan. A committal service will be held at 3:15 pm Friday January 25, at Beacon Hill Cemetery, south of Rockville with entombment following. Visitation will be from 1:00 pm until 3:00 pm Friday at Gooch Funeral Home, 112 W. Howard Street, Rockville. To send flowers or a remembrance gift to the family of Jack L Rice, please visit our Tribute Store. "Email Address" would like to share the life celebration of Jack L Rice. Click on the "link" to go to share a favorite memory or leave a condolence message for the family.